How Does Cycling Unite Athletes of All Abilities? You may have heard of a bicycle built for two, but you probably don’t think of a tandem bike as a serious piece of athletic equipment. Well, the Blind Stokers Club (BSC) and similar organizations are here to challenge that assumption. 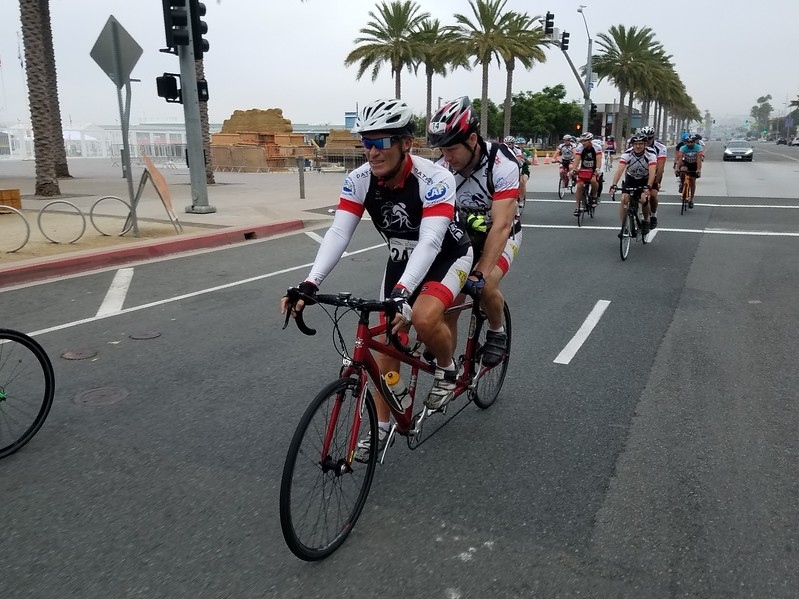 The BSC pairs sighted riders with blind cyclists who must work together as a team. To do so, the blind rider sits in the second seat of a tandem bike, or “stoker” position, while the sighted captain steers from the front. These teams typically ride hundreds of miles, and many compete in races and other events. The Blind Stokers Club and its members also use cycling to raise awareness and to contribute to good causes, like the annual Cycling for Sight Fundraiser. Additionally, a few teams are usually invited to compete in the cycling leg of the Challenged Athlete Foundation’s (CAF) annual triathlon. On September 30, the San Diego Blind Stokers Club will participate in one of their many training rides in California. Then, on October 22, the Aspen Medical Products San Diego Triathlon will take place in participation with the Challenged Athlete Foundation. Both events are open to the public. You can view event details for the Sept. 30 BSC Ride and the CAF Triathlon online. According to Frederick Dudek, a longtime member of the Blind Stokers Club organization, it is important that captain and stoker are similar in height, weight and physical fitness level as well as personality. Since club members work closely as a team, trust is crucial. Besides, if you’re going to ride hundreds of miles with just you, your partner and the open road, it’s probably best if you get along. In fact, says Dudek, many teams end up becoming fast friends. Frederick Dudek is a personal injury lawyer in San Diego and an avid cyclist. He has been an active member of the Blind Stokers Club for years, together with John, his teammate and friend. They train together on a weekly basis and participate in rides throughout the year, including the annual 200-mile Cycling for Sight fundraising event. They have also participated several times in the cycling leg of the Challenged Athlete Foundation Triathlon. On September 30, Frederick and John will join the members of the Blind Stokers Club and other cyclists for one of their yearly rides. If you are in the area and you have a bike, then feel free to join us! The event is free and is open to the public.